US 9th Circuit Court of Appeals to rule on whether animals can own copyrights to their own work, after monkey takes famous selfie picture. Do animals have property rights that should be recognized by law? The seemingly absurd question is in fact the focus of a case now before a federal court in the US. The US 9th Circuit Court of Appeals in San Francisco is taking the case of Naruto, a black macaque monkey from Indonesia, quite seriously, in a decision that could set the precedent for questions of animal rights on a variety of issues for decades to come. The issue revolves around a selfie picture of Naruto he took using the camera of British photographer David Slater. The image Naruto shot of himself went viral and was later included in a book Slater published. According to Slater the image belongs to him, since he owns the camera and set up the opportunity for Naruto to take the selfie. Since no other person was involved in the capture of the image, the matter seems like a cut-and-dry case – the rights belong to Slater. But a radical animal rights group, People for the Ethical Treatment of Animals, has demanded that Naruto be accorded the same property rights as humans, and that his ownership of the selfie be recognized. PETA sued Slater and the publisher of his book which included the image for copyright infringement, a lawsuit the group says was filed on behalf of the monkey. While a federal court ruled against PETA in a 2016 decision, noting that no law had been passed “to extend copyright protection to animals”, the 9th Circuit Court of Appeals – known for its left-wing tilt – agreed to hear PETA’s appeal of the decision. 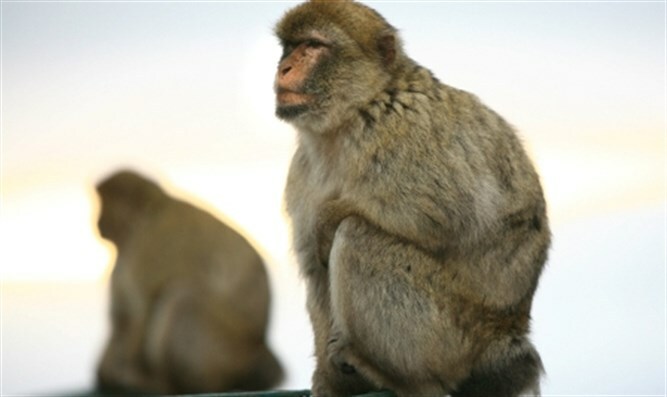 On Wednesday, the court held a 45-minute hearing on the matter, which could not only decide the fate of a photograph and the monkey who is unaware of its existence, but could also create precedent on a wide range of other rights PETA and other activist groups claim should be extended to non-homo sapiens. Slater’s attorney, Andrew Dhuey, mocked the lawsuit as a case of “monkey see, monkey sue,” noting that the claim of copyrights for animals had no basis in federal law. But PETA lawyer David Schwarz insisted during the hearing that federal statues must be interpreted as broadly as possible. “We have to look at the word ‘authorship’ in the broadest sense,” argued Schwarz. The three-judge panel questioned whether PETA had standing to sue on behalf of the monkey, but did not issue a ruling on Wednesday.